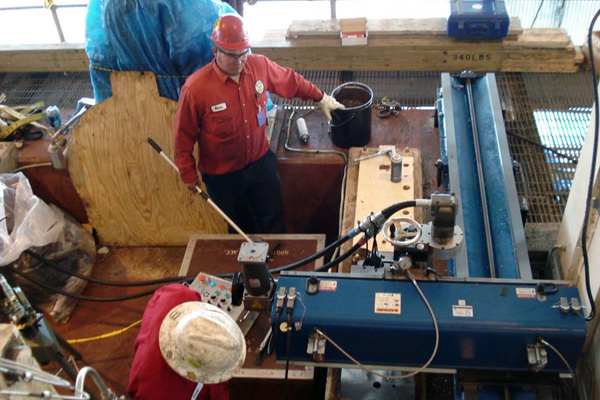 Portable field milling machines make even the most challenging repairs possible. We'll bring our portable mills to your facility to machine key slots, base plates, sole plates, pump bases, grooves, split lines, sealing surfaces and more on-site. Field Milling onsite will save you time and significantly reduce maintenance costs. We maintain a variety of field milling machines, including electric, air and hydraulic powered machines in range of sizes to meet all your onsite field milling needs. By providing the highest quality field milling equipment and deploying the highest skilled craftsmen Down Time Services is the right choice for your most challenging on site milling requirements. Contact Down Time Services today to discuss your next onsite field milling project.